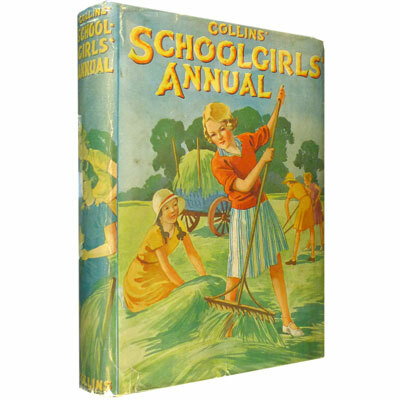 Collins’ Schoolgirls’ Annual - Katherine L. Oldmeadow, Frances Cowen, V.M. Methley, S. G. Hedges and others. A bright copy in the rare dust jacket, with 38 stories for modern girls, memorable titles include The Cowgirl of Roaring Bull Ranch, Stella and the Stockings, What is Wrong with your Tennis?, and The Girls Do A Good Turn. Profusely illustrated with five coloured and eight half-tone full page plates, together with colour and black and white vignettes throughout. This marvellous opening sets the tone for this masterful retelling of these ancient legends by Leonora Lang, including stories about King Arthur, Robin Hood, Roland, and of Wayland the Smith. In the original publisher's intricate gilt binding and gorgeously illustrated throughout with 8 colour plates, 35 black & white plates, and 8 in-text drawings by Henry Justice Ford. 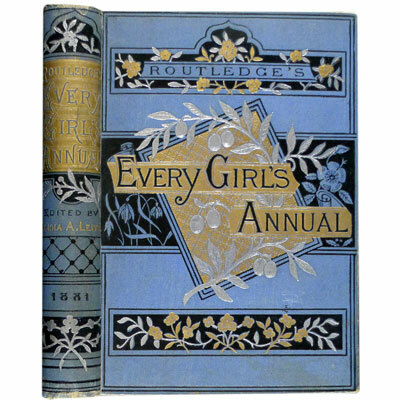 A near fine early edition of this Girl’s annual, which was published between 1878 and 1886. Wonderfully illustrated throughout, in colour and monochrome, by some of the best Children’s illustrators of the time including Kate Greenaway who provides the colour title page and frontispiece. Over 500 pages of stories, poetry, puzzles, music, proverbs, history, and useful pieces on ‘what girl’s can do’ such as etching, needlework, and cookery. 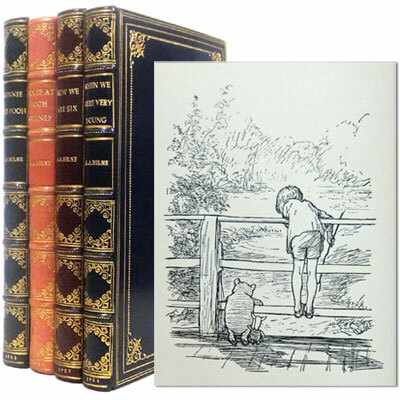 A lovely set of the Pooh books, finely bound to match their respective original published colours, and housed in custom made felt-lined slipcase. ‘I often wish I were a King, And then I could do anything. If only I were King of Spain, I’d take my hat off in the rain. If I were King of Norroway, I’d ask an elephant to stay. 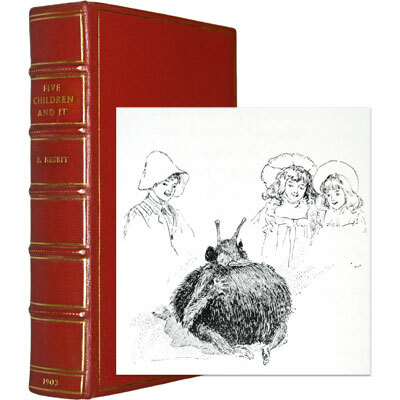 A fine first edition of this magical tale bound by Bayntun Riviére of Bath, illustrated by H. R. Millar with forty-six black and white plates – Cyril, Athena, Robert, Jane, and baby brother, Lamb, are exploring the land around the house their parents have rented for the summer when they find the sandpit. They decide to dig a hole straight through to Australia. Their plan is interrupted when Athena discovers a magical creature hiding in the sand. It is a Psammead, and it can grant wishes. Psammead: I am a Sand Fairy! Jane: A Sand Fairy? I thought fairies had little ballet dresses and wings and wands. Psammead: What on earth have you been reading? Jane: I'll call you Sandy. Jane: Because we found you in the sand. Psammead: You're so funny. Have your parents tried boiling you? 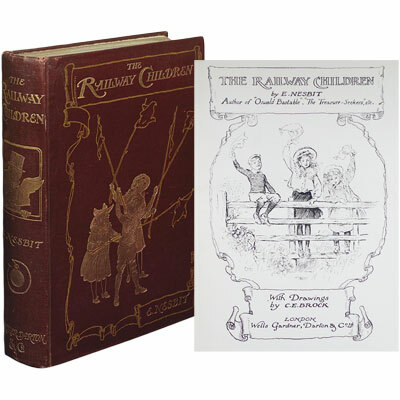 The first edition, scarce in such fabulous condition, of Nesbit’s most loved children’s story, the basis for the wonderful 1970 Lionel Jeffries film, and Simon Nye’s 2000 television adaptation (both featuring Jenny Agutter, firstly as Bobby and then as the children’s mother). Illustrated by Charles Brock with twenty black and white plates and illustrated title page. 'Her writing is so light and unforced, her humour so sure and her narrative quality so strong . . . she has given me the most complete satisfaction' – Noël Coward. 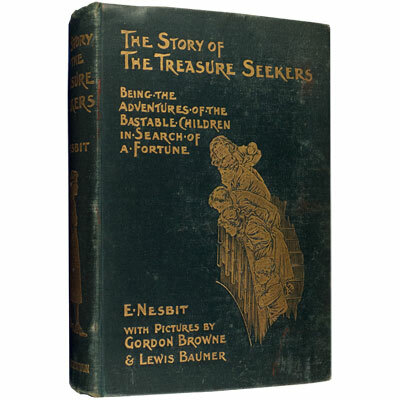 A lovely unrestored and unfoxed first edition of Edith Nesbit’s first book. Illustrated with seventeen full page black and white plates. The messages intertwined amongst the various adventures make this a book that adults may actually find more entertaining than they expected, especially if read previously as a child.